There are many situations where you may want maximum concealment for your handgun, but you're not overly concerned about being able to draw it quickly. 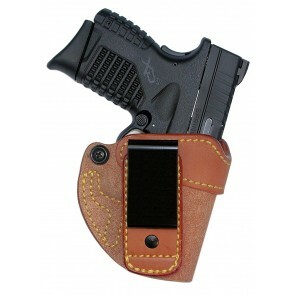 Perhaps you just want the peace of mind of knowing you'll have access to a weapon — just in case you need it. 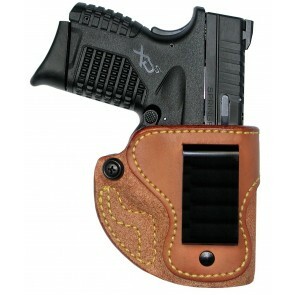 You also might not want others around you to realize that you're carrying a pistol or revolver. 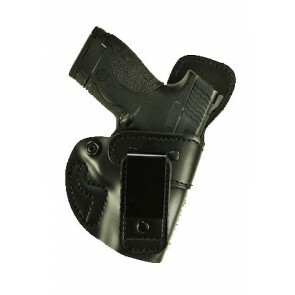 Inside the belt holsters offer the ideal solution for these circumstances. 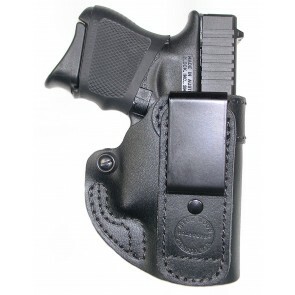 Inside the Waistband, or IWB, holsters (which stands for "In-Waistband Holsters") are one of the most popular options out there for people who want to carry a concealed weapon. 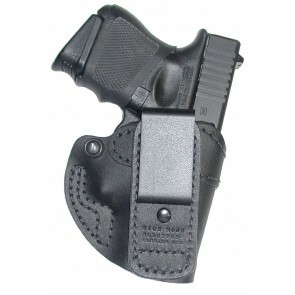 Rather than an outside the waistband holster, or pressing it into the small of your back, an IWB holster fits inside your pants, making the outline a lot harder to detect. 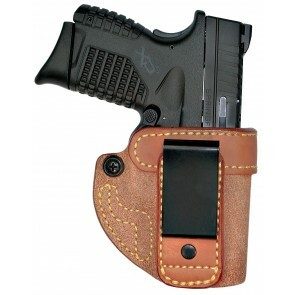 It also allows you to skip wearing unseasonal jackets or baggy clothes to hide the fact that you're carrying a weapon. 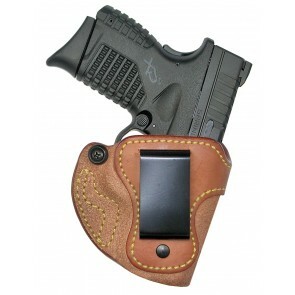 With that said, you will need to make sure there's plenty of room in your slacks to accommodate your holster and weapon. 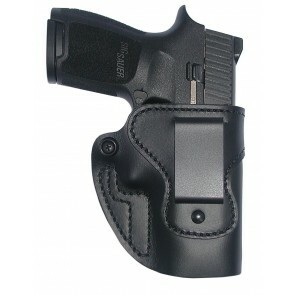 There are also potential questions you may have before purchasing an IWB holster. For example, it takes some getting used to for you to safely draw your weapon, and to do so quickly. They're made for concealment, after all, not quick-drawing. Also, since everyone has a different waistline, you'll need to experiment to find where the most comfortable (and practical) place to wear one is. Lastly, though, you may need to wear a belt for additional support. 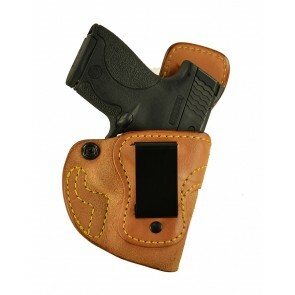 This will vary, of course, depending on the pistol you're carrying, what it weighs, and how much weight your clothes can support on their own. 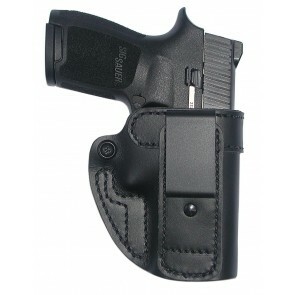 If wearing an IWB holster make sense for you, High Noon Holsters has the right product for your needs. 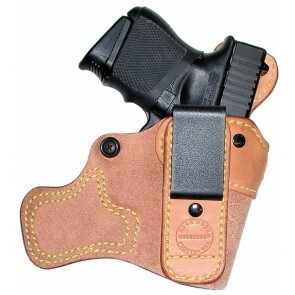 Mister Softy: Made from thin, premium-grade cowhide, this leather appendix holster includes a heavy-duty, all-steel reverse J-hook that locks onto the belt for added security and stability. 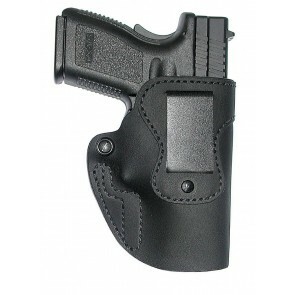 The black color of the clip will render it nearly invisible when used with a black belt. 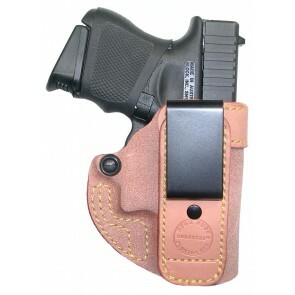 Because Mister Softy is a low-riding holster, it offers the benefit of deep concealment. 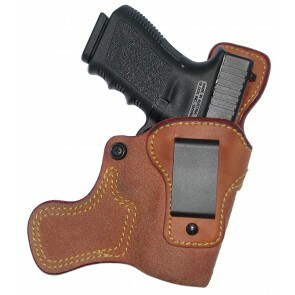 Back Down: The Back Down is a non-molded holster that offers combat grip accessibility for fast drawing when necessary. 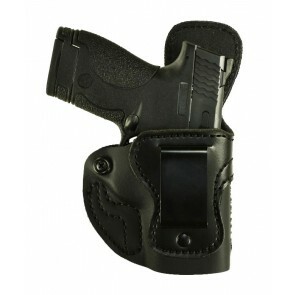 The 15-degree forward cant further enhances the holster's speed-drawing capacity. The built-in tension screw allows you to adjust the draw to suit your preferences. 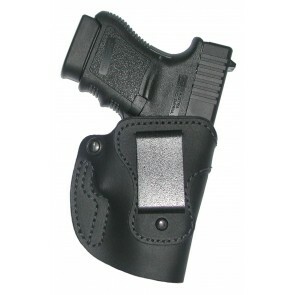 The slide guard prevents the slide, hammer and sight from contacting the wearer. 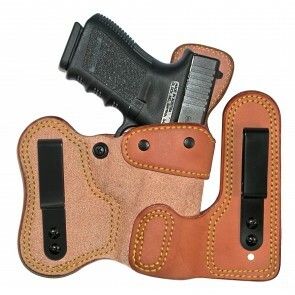 Bare Asset: Another high-quality cowhide leather appendix holster, the Bare Asset provides the ideal balance between the thinness and thickness of the padding to ensure superior comfort. 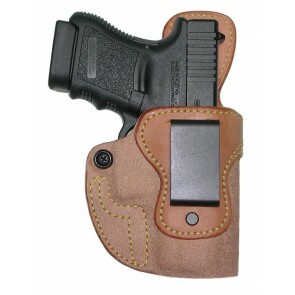 Many users state that it feels like they're not wearing a holster at all! 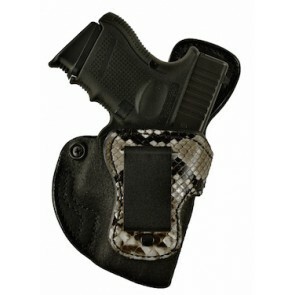 This model also offers a 15-degree cant along with an open muzzle design. 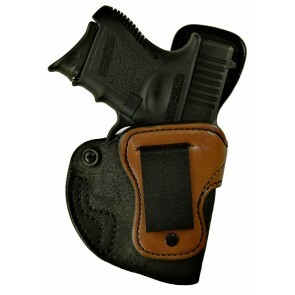 Alter Ego: The Alter Ego is a molded gun holster available in your choice of cowhide or horsehide leather. 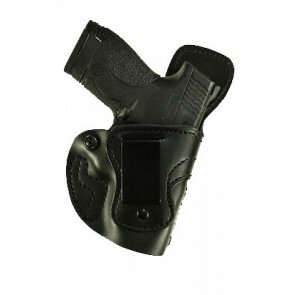 Designed to fit in the small of the back, the size of this model allows you to conceal a small or medium pistol or revolver without wearing a coat or outer garment. To draw your weapon, you'll only need to pull up the covering shirt with your weak hand and access the gun with your shooting hand. 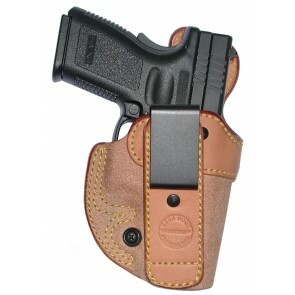 Choosing a holster that works for you is not a decision that should be rushed. Take your time, and consider your options. 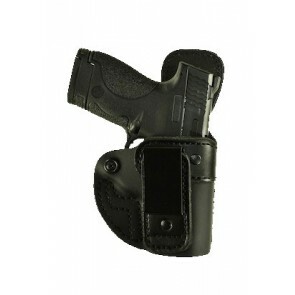 An in-waistband holster is a good one, but it might not be for you. 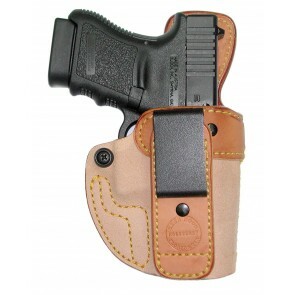 Still, give High Noon Holster's IWB holsters a chance, and see if they're what you've been looking for when it comes to your concealed carry needs. 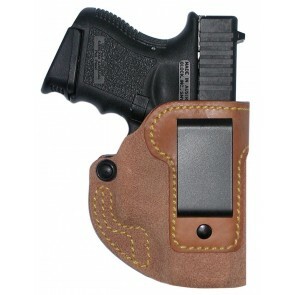 You'll appreciate how fast and easy it is to purchase inside the belt holsters and other products from High Noon Holsters. You'll be able to build your wish list in no time and complete your transaction without hassles by using our secure checkout process. 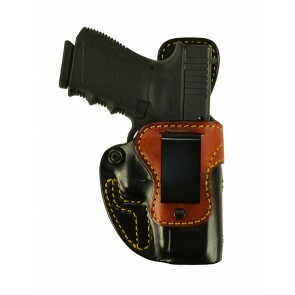 If you order an in-stock holster, we can typically ship it within 1-5 days. 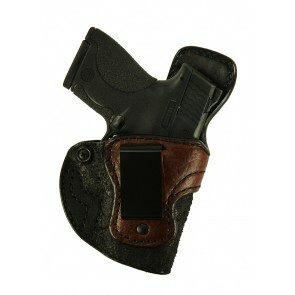 Custom-made items take longer, but if you choose our rush service, we can ship your holster in as little as 7-10 days. 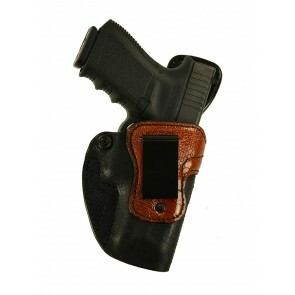 Browse our extensive selection of beautiful and durable IWB holsters and place your order today!